Wie wäre es mit einem Besuch des Stuttgarter Weihnachtsmarktes? 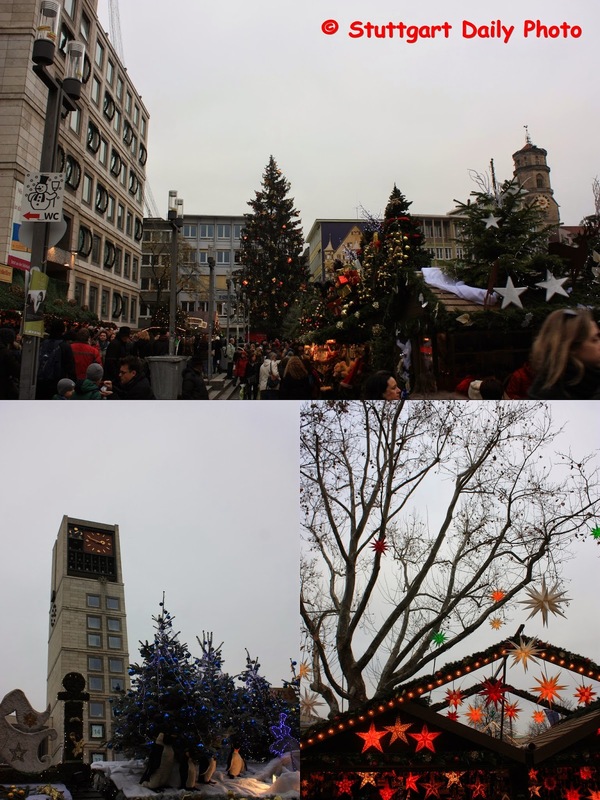 How about a visit of the Stuttgart Christmas Market? Nun wird klar, warum Wolfbusch so heisst wie es heisst. Im Hintergrund die kleine evangelische Kirche. Now you can see why this quarter is called Wolfbusch. In the background there is the small Protestant church. Ich habe mich mal im Stadtteil Wolfbusch umgeschaut. Da sind mir diese vier, auf dem ersten Blick normale, Wohnhäuser aufgefallen. I have looked around in the part of town named Wolfbusch. These four dwelling buildings caught my eyes this day. They look ordinarily at first sight. Jedes dieser Gebäude hat eine besondere Fassadendekoration. 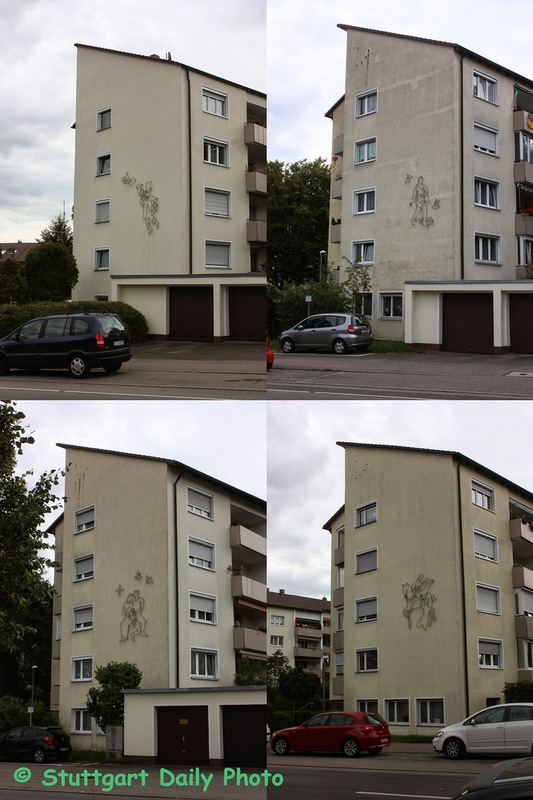 Each of these buildings has a special facade decoration.